I'll be honest, I never used to think much about belts or really considered incorporating them into my outfits. But when I discovered Elliot Rhodes, they proved to me that belts are no longer just something that keeps your jeans up, but they're a fashion accessory. One that comes in every colour, width and texture you could think of. Not only does Elliot Rhodes pride themselves for their unique interchangeable system (which I will tell you all about shortly! ), but also for the outstanding customer service that they provide. When you enter their characteristic stores, you're kindly greeted by a smiley in-store stylist who gives you the full personal shopping experience. Together you will discuss what occasion you'd like your belt for, whether it be for every day or a wedding, and choose a belt strap of your choice. And then for the exciting bit! 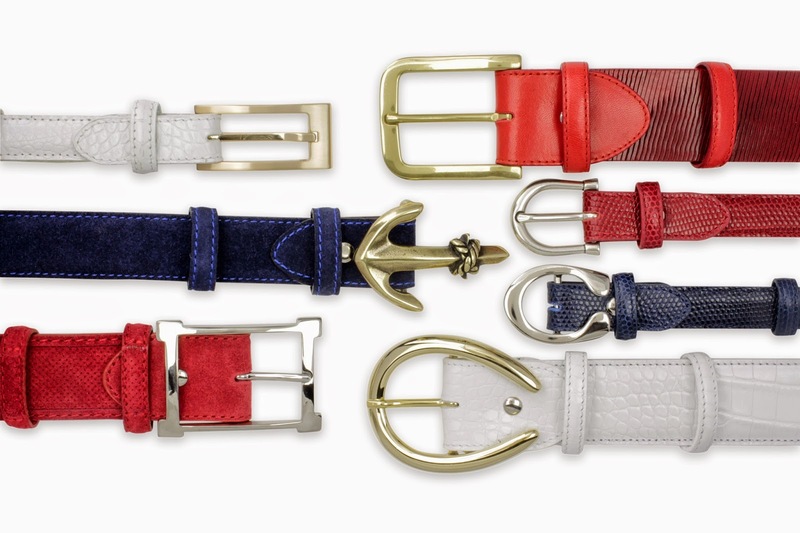 The magic of Elliot Rhodes is their interchangeable system where you can mix and match buckles whenever you like. And they have plenty to choose from, with classic shapes all the way through to skulls and crocodiles! It's safe to say they have a buckle to suit every taste. After choosing your dream belt it is then customised to fit and cut down to the correct measurements there and then for you to watch if you wish. Within 5 minutes your belt is ready to be worn. Styles available for men and women. Prices range from £75 - £2750. Elliot Rhodes also sell leather accessories including purses, wallets, card holders and bracelets. These belts are so great! Especially love the light blue one!